The Lund University Global Scholarship programme is targeted at top academic students who are citizens of countries from outside the European Union/European Economic Area (and Switzerland). Top academic students have a proven record of achieving consistently high grades in previous studies. The scholarship is selective and completely merit based. No consideration is taken of the students’ financial needs in the selection process. Scholarships may cover 25%, 50%, 75% or 100% of the tuition fee. The scholarship value is deducted from the tuition fee of the programme or free-standing course for which you are awarded a scholarship. Please note that the Lund University Global Scholarship does not cover living costs. Citizens of countries outside the European Union/European Economic Area (and Switzerland) who have applied for Bachelor’s or Master’s level studies at Lund University for a minimum of one semester of study (the equivalent of 30 ECTS full-time study) and who are required to pay tuition fees. Please note that students who are eligible to apply for the Swedish Institute Study Scholarship for category 2 countries can also apply for the Lund University Global Scholarship. Students who are eligible to apply for the other Swedish Institute scholarships for Eastern Europe, the Baltic Sea region and Turkey can also apply for the Lund University Global Scholarship. The Lund University Global Scholarship programme is not open for students from the following 12 countries: Bangladesh, Bolivia, Burkina Faso, Cambodia, Ethiopia, Kenya, Mali, Mozambique, Rwanda, Tanzania, Uganda and Zambia. Students from these countries should apply for the Swedish Institute Study Scholarship (category 1 countries). The next round of applications is due to open on 9 November 2012 and will close mid-January 2013, for students applying for studies starting autumn 2013. To apply for a Lund University Global Scholarship, you must first apply for the programme(s) or free-standing course(s) you wish to study at Lund University using the online, national application website, official website, during the application time for autumn semester studies. You then apply for a Lund University Global Scholarship using our online application form (the online form is published when the application period is open). Once you have completed the online scholarship application, you post a printed and signed copy of the completed application form, your CV and scholarship “motivation letter” together with your programme/course application supporting documents. These are all posted together to University Admissions in Sweden, FE 1, SE–833 83 Stroemsund, Sweden. 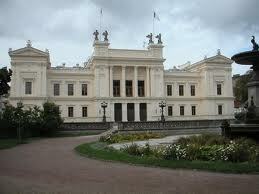 Please do not send your scholarship application documents directly to Lund University. Please note that the scholarship personal “motivation letter” (maximum 500 words) is different from any statement of purpose you may be required to submit as part of your programme application documents. Your scholarship personal “motivation letter” should explain why your academic performance and reasons for applying to Lund University make you an appropriate recipient for a Lund University Global Scholarship. You can only apply for one scholarship per programme or free-standing course. If you are applying for more than one programme or free-standing course at Lund University, you must make a separate scholarship application for each programme/course to which you have applied. The selection process for scholarships is undertaken in parallel with the programme/course selection process. Priority will be given to students with high academic performance and who demonstrate a strong commitment and desire to study at Lund University. As the scholarship is merit based only, no consideration is taken of the students’ financial needs in the selection process. Demikianlah informasi mengenai Lund University Global Scholarships, Sweden semoga berguna bagi anda.